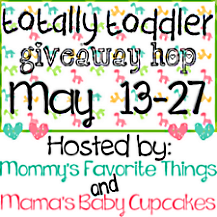 Welcome to the Totally Toddler Giveaway Hop! This event is hosted by Mommy's Favorite Things and Mama's Baby Cupcakes. This hop is focused on items you'd want/need for a child ages 1-6 yrs old. After visiting my giveaway, make sure you use the linky below to take a look at the other 25+ blogs and see what they have to offer for you and your little one! Each blog has a minimum prize package of $25 per winner. Also be sure to check out the Grand Prize featured on Mommy's Favorite Things blog. This grand prize package is sponsored by Pediped with 3 pair of shoes in winners choice, and 2 Red Hens for a snack bag set and a Toy Nanny for a total value of just over $200 in prizes. Today, Jack & Lily is going to give one lucky reader their choice of shoes! Jack & Lily is committed to the development of high quality baby footwear. Lovingly designed with a baby’s sense of touch in mind, their footwear uses the best ‘Lamb Touch’ leather available. Jack & Lily owners have been in the leather business for 25 years and have perfected the art of sourcing out quality materials that ensure healthy and comfortable feet, while keeping up with the latest fashions. 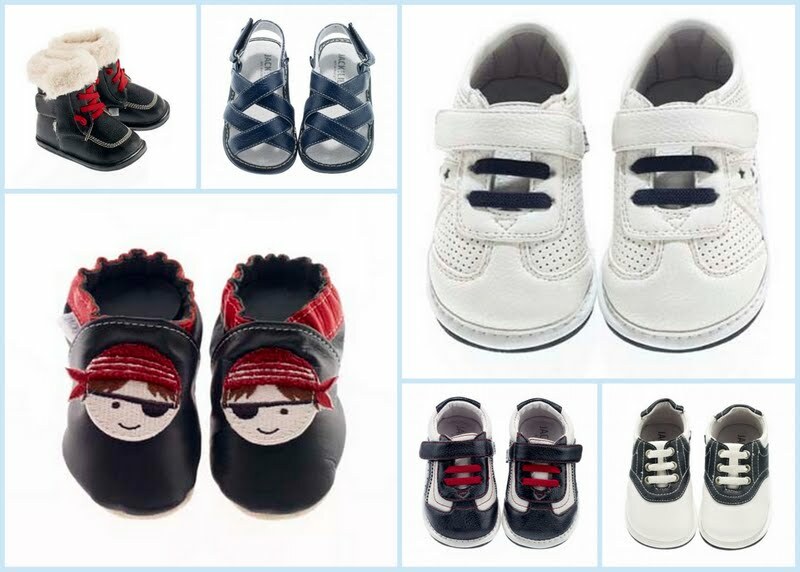 With more than 200 combinations of contemporary colors and distinct styles to choose from, Jack & Lily is proud to be providing ultra-soft, fashionable shoes for babies and toddlers throughout the world. Read my review of our Jack & Lily sandals HERE. Mama's Baby Cupcakes, Mommy's Favorite Things and the Totally Toddler participating bloggers are not responsible for sponsors who do not fulfill prize obligations. I would choose skull black in 18-24 months. the girls skull in blacken size 18-24 months! I would pick the Cherries red (2023) in 6-12 months. Love the monkey red ones! I love the Cowboy brown shoes in 12-18 months for my son! I'd get the Flower sandal white (170) for my daughter in size 24-30 months. I would choose Baby, Infant or Toddler: Skull black (129) in size 24-30 months. I like Baby, Infant or Toddler: Wide strap brown & green! I would pick Owl mint (2019) 0-6 months. So cute! I like the flower sandals in white. I would pick the Star Trainer in Green in 18-24mo -- stylish shoes for boys! I love the lace black and cream (boys) in size 24-30 months. I would get ballet glitter pink in size 6-12 months for my baby girl due next week. So hard to decide!! I think I would pick Pink Bow in 24-30 months! I would pick the Lace Boots Brown in size 0-6 months. More than likely I would pick the Sport pink & white shoe - I have a daughter in pre-school and she needs to wear closed-toed shoes just about every day - and these would be great - especially based on the description of the company, thanks! I would choose the Star trainer green (255) in 18-24 months. I'd love to get the Boot Back Lace in Gray, size 24-30 months. So cute! If I won I'd love to have the Diamond flower red patent in size 12-18 months! I'd get the white Cut Out Flowers shoes in 6-12 mos. I think I'd get the boot back lace in gray, but it's hard to choose! I would pick the Sport brown & cream (127) shoes in 24-30 months. I like skulls-black in 24-30 months! I would get the Sport white & green (128)24-30 mos size. i would choose the Trainer grey & black (257) in size 24mo-30mos. I would probably choose these boots (https://www.jackandlily.com/baby-infant-toddler-shoes/myboots/boot-back-lace-grey-274/) in 24-30 months. They're so cute! I really love the ballet cream shoes, size 0-6 mos. Thanks for the chance! I like the lovebirds brown shoes. I'd pick the Navy Sandals in size 12-18 months. I'd choose the Trainer white & grey shoes in 12-18 months! Thanks! Baby, Infant or Toddler: Embr. boots brown size 2. I would pick the skull and crossbones for boys....so cute. The boys Trainer red & black (258) in a size 18-24 months. I like the star trainer in black; in 12-18 months! I like the sport cream and brown 6-12 months. I'd choose star navy and red in size 6-12 months. I'd love the Elephant navy in 12-18 months, but they only have 0-6 month size, so I'd go with Baseball - Navy in 12-18 months! Thanks for the chance! I would choose Pink bow (265) in 24-30 months. I love the owl cream in 18-24 mos!